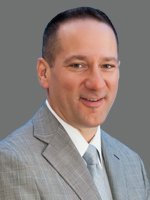 Eric is a commercial real estate industry veteran and a licensed attorney. His practice is focused mainly on healthcare and office real estate. Eric has more more than fifteen (15) years of experience as a strategic advisor and transaction leader for specialized client needs. Eric understands the complex and demanding requirements of his clients. He’s managed and negotiated countless lease and purchase agreements throughout his career as both an attorney and a real estate professional. He worked on major real estate initiatives for The Cleveland Clinic Foundation, including the acquisition of the twelve-acre urban campus of The Cleveland Play House. In addition to a multitude of medical office leases, he was also responsible for negotiating a complex sublease, occupancy and use agreement for over 80,000 square feet of administrative call center space on the Clinic’s behalf. During his time working in private development, Eric oversaw acquisition, disposition and leasing operations for Omni Property Companies, a local owner and developer. In this capacity, he was responsible for the sale of multiple office buildings, and spearheaded the company’s tenant move-in and retention initiatives. During his tenure at Cushman & Wakefield | CRESCO Real Estate, Eric has represented owners, developers and occupiers of commercial properties throughout Northeast Ohio. EUCLID OFFICE BLDG 26250-26300 Euclid Ave.
PARAGON CENTER I 6140 Parkland Blvd. PARAGON CENTER II 6150 Parkland Blvd. MIDWAY PLAZA 347 Midway Blvd.